I just finished this basket. 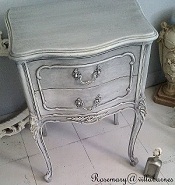 I painted the basket using my "Old World" finish (tutorial on my sidebar). The original color was green. You can see traces of it here. I gave it multiple layers of grey gesso, followed by a white gesso wash. I loved the finish, but wanted to add a little something extra. I picked up a bag of these wood plaques at a garage sale last year. 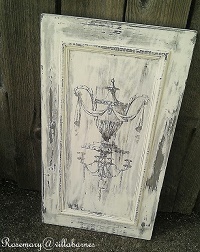 In my "Adding Dimension" post, I showed you how I used dimensional paint and a stencil to add a raised relief design. Well, I used the same technique, but used wood filler instead, because I wanted it to dry really fast. So, if you don't have dimensional paint, improvise. Anything that will harden and can be sanded will work. So after adding "Dream" with one of my stencils, and a few decorative details, I gave it my paint treatment. I then sanded the finish back a bit to enhance the raised details. It looked really pretty hanging, and I will be making more like it for that purpose. However, this one I wanted for my basket. 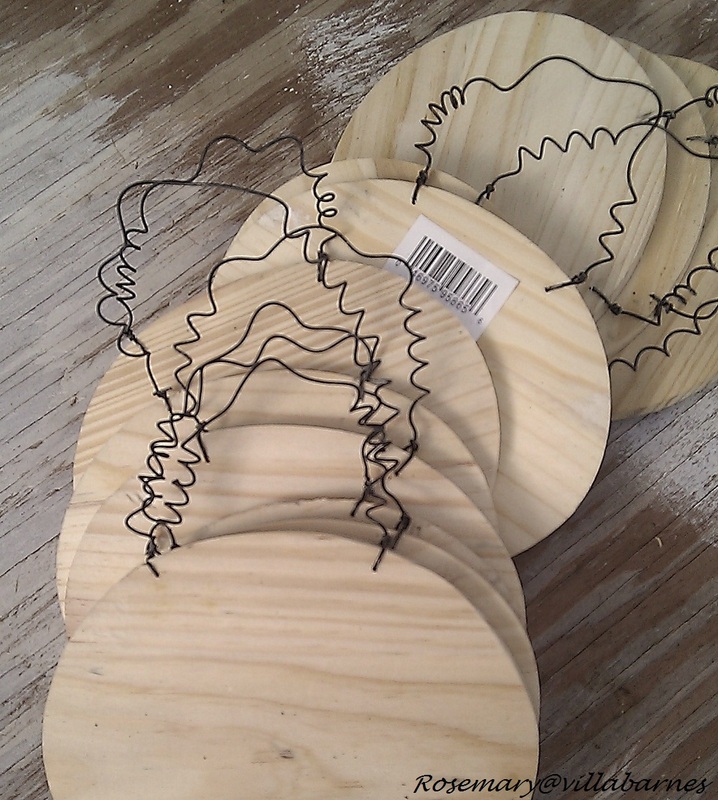 So I clipped the wire in half, and slid it through openings in the basket. I just twisted the ends to secure it. It's now residing in by bedroom, on top of my chest of drawers. It's great for holding mags. I have a lot of ideas for variations. I've already made another plaque for hanging. As you can see, I love to dream. I'll do another post on this one. Love it, Rosemary! The basket is a great color now and I love the plaque you added. I'm glad to see you keep some of your projects for yourself. 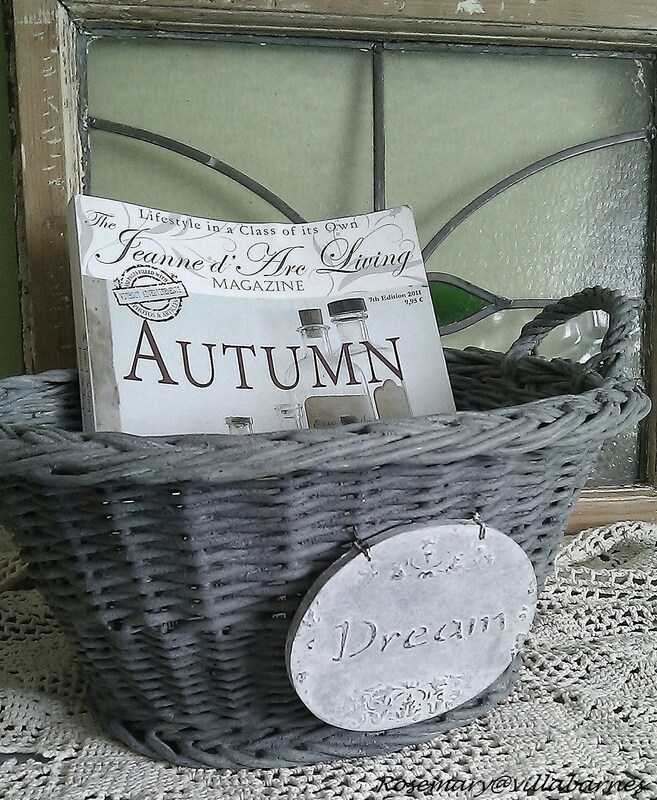 The magazine is a perfect addition to this basket. BTW, I saw you won a giveaway ~ congrats! 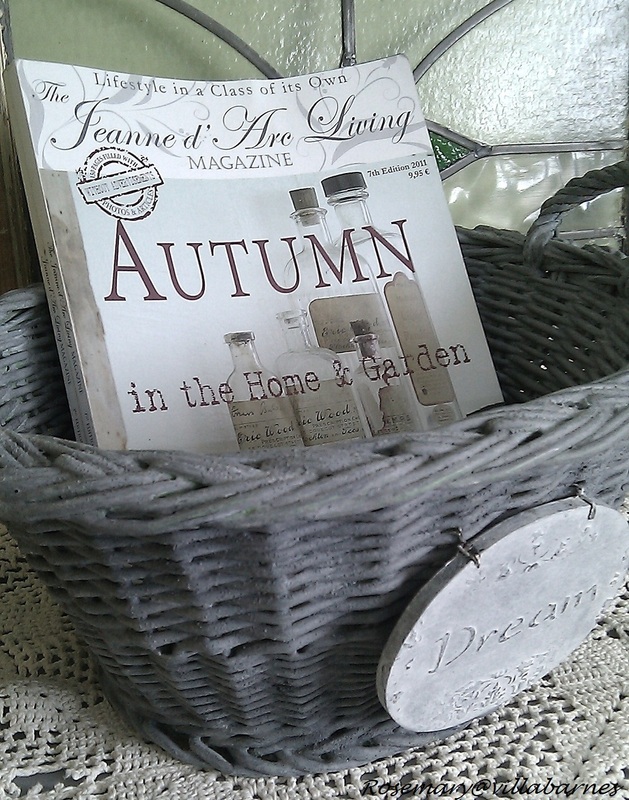 Love your basket and the tag is totally fab!! Hope your having a great Sunday!! 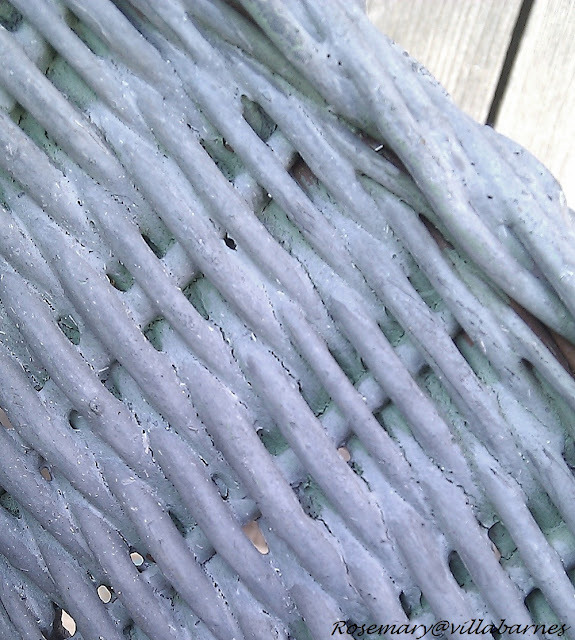 The technique you used on the basket really gives it a vintage patina. Love it. 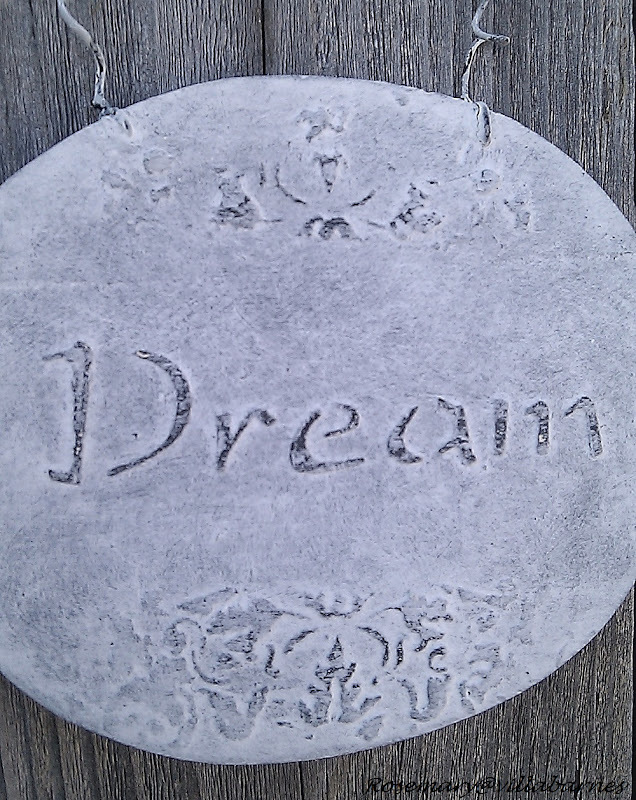 Love the little dream tags too. That is just dreamy Rosemary. Very cute! Beautiful - as all your creations are, Rosemary! I never would have known that was a wood plaque! It looks like stone when finished. Oh it's all so dreamy! What a beautiful basket! 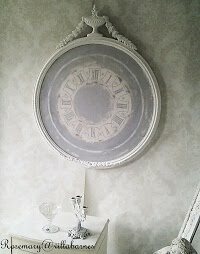 What a great paint treatment - and the 3d relief is fab! I have a bunch of baskets in built in cabinet shelves in my bathroom that would look great like this! You do nice work!! Girl you are good!! Love it! oh you know how I love coming here and seeing all your wonderful ideas....and thanks for your generosity in sharing the how to's. 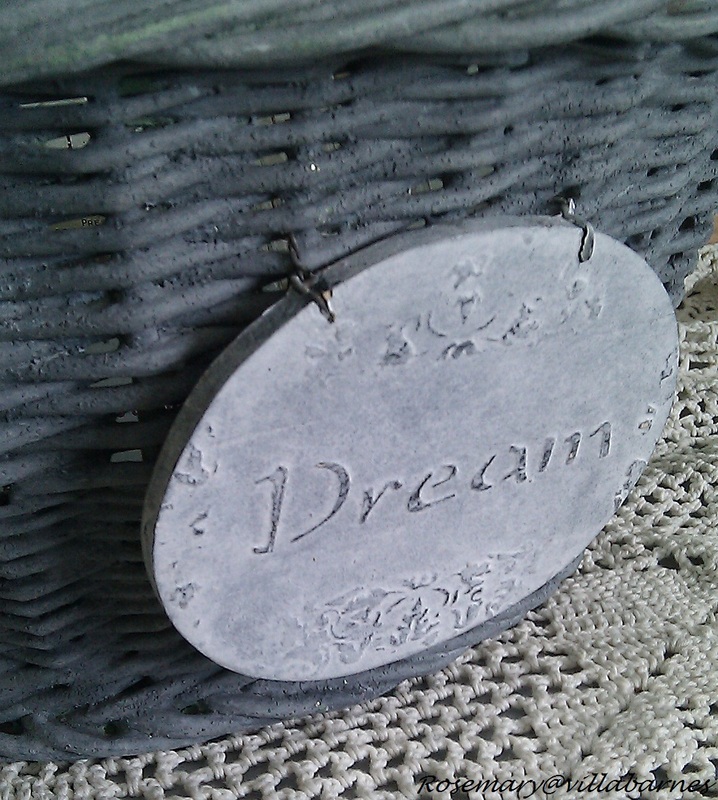 White gesso wash look so beautiful on the basket.On this basket decorative some details are look so wonderful. How cute! 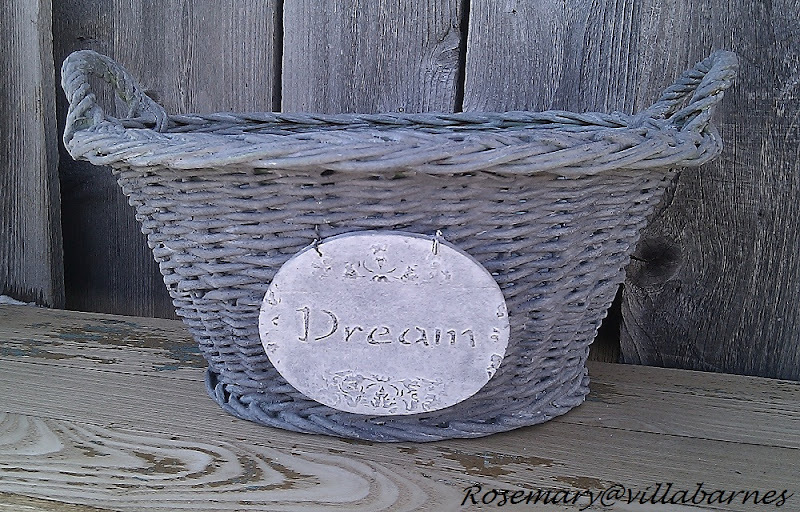 I can't get over how you took an ordinary basket and wood plaque and transformed it into something so tres chic! I see you have the Jeanne d Arc magazines too. Love them. 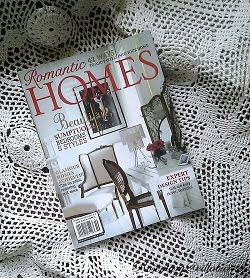 I wish I could've bought the Autumn issue. By the time I tried to get it, they were already sold and onto the Christmas issue. I love the finish on this basket....and the tag! Perfect! 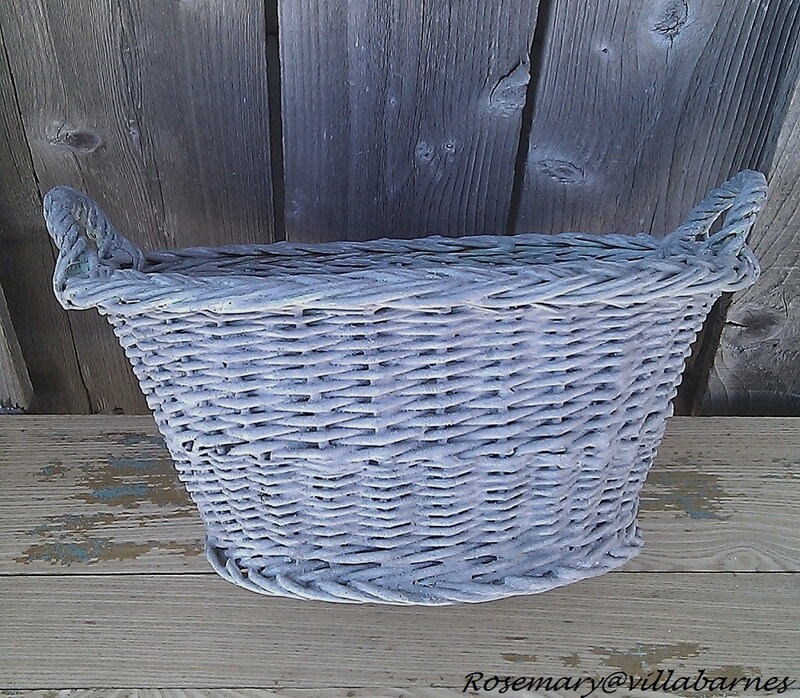 I love the beautiful finish on your basket and the tags are the perfect touch. The patina really gave that piece a sense of history! Great color for the basket! 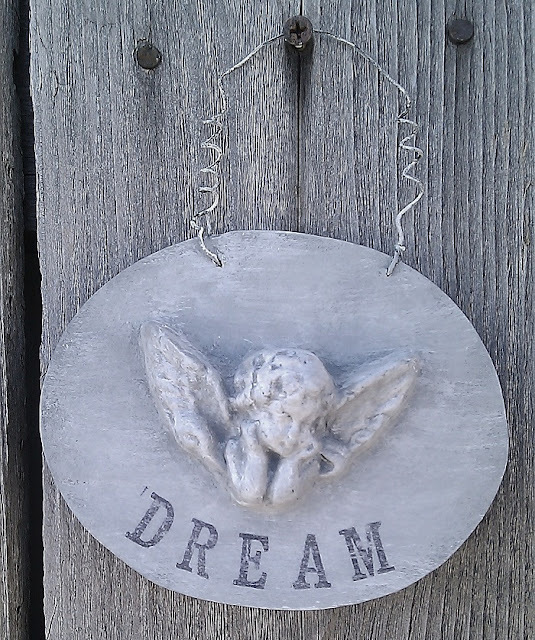 I love the grey finish and the sweet little tag with Dream on it. 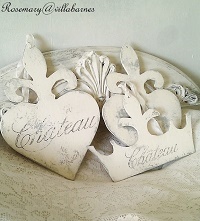 The magazines look great in it, Jeanne de Arc Living...my favorite! I like how it turned out and the tag and sooo cute. Luv it! 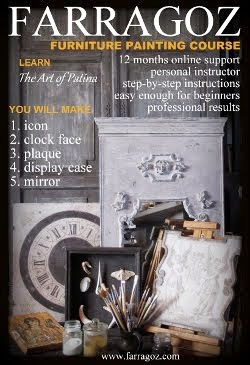 Your basket is very pretty, and the techniques you used add lovely aged finishes with great character. Oh, I love this and think I might have to try doing one of those signs. Very pretty. You're so creative! What a beautiful basket! Would love for you to stop by and link up to the Tuesday To Do Party (if you haven't already.) Also, the Pretty Packages Party is going on & I would love for you to share any creative gifts, packages or party favor ideas! This is such a creative idea! 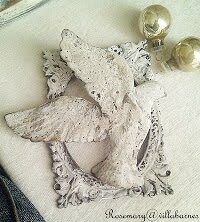 I would love for you to stop by my linky party and link up. The plaque really makes the basket go to extraordinary. Very nice. Really cute I like it alot. Love it all! Such a great finish and the tag, I think, may be my favorite! I love your choice of colors. Fabulous project.